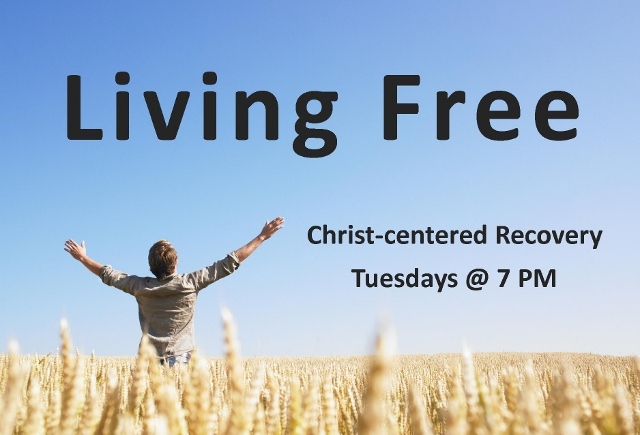 Living Free meets every Tuesday evening from 7:00 - 9:00 PM. This program offers biblical principles along with a traditional 12 Step approach. Each meeting includes worship, teaching, and confidential support groups.